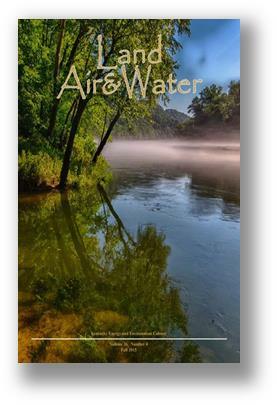 The fall 2015 issue of Land, Air & Water is available for download at http://eec.ky.gov/Pages/LandAirWater.aspx. independence focuses on hydroelectricity and how it can be a viable energy source in our state. Kenya Stump of the Department for Energy Development and Independence answers questions about the history of hydroelectricity, how it works and the challenges facing its growth in Kentucky on Page 1.
http://eec.ky.gov/Pages/LandAirWater.aspx. 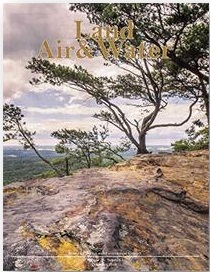 The cover features an amazing view from the top of Pilot Knob in Pilot Knob State Nature Preserve in Powell County. Photographed by Barry Howard, Frankfort. The winter 2014 issue is now available for download at http://eec.ky.gov/Pages/LandAirWater.aspx. 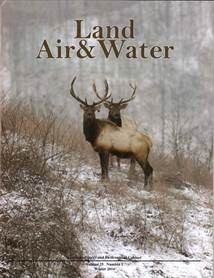 The cover features elk in Knott County on the former Starfire Mine. It was photographed by Dave Baker, who works at the Kentucky Department of Fish and Wildlife Resources. 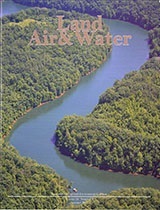 The cover features Paintsville Lake in Johnson County, photographed by J. Hamon, who works in the Department for Natural Resources.